The new Metzeler Roadtec Z8 Interact 120/70 ZR17 58W (Front, Honda NC700/S/X) is distinguished by significant improvements, among other things at the level of its design and technology in three differential tension zones that make high-level performance possible from the first kilometre and in all weather conditions. The new silicone compound with nanoparticles increases tyre safety. So far the Z8's have been faultless in all weather conditions. Very impressed. Really too soon to judge Longevity. Perform better using Aprilia's recommended tyre pressures and not 36/42 for solo riding. Front tyre on K1600GT lasted 9000 Miles. So have bought same again. Good grip in Dry and Wet. Good stability. Great price. 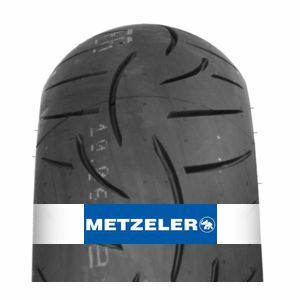 To review the Metzeler Roadtec Z8 Interact, you first have to log-in by clicking here.